You are here: Home » Where Were You? In our Old Testament we read words spoken by God to a man named Job. This man, once wealthy with a good family, a good life, and good friends (he thought), has lost everything. He has lost all his wealth, his family has died, his health has been destroyed, and his friends have become his tormentors. Job sits on a heap of ashes, his body covered with boils, as he shouts at God demanding answers. God takes him to task and reminds Job he has no special privilege. His health, wealth, family, and friends are all a part of the fleeting human life. This once wealthy and happy man had to answer the question posed by Abbott to Costello, “who’s on first?’ Job finds he is not on first or any base on the terrestrial field—he has come to know that he is a finite being and God’s work is eternal and has been from the beginning. All of us think we are the center of the universe when we are very young children. Why not? Our universe is small. It is not until we begin the socialization process that we begin to understand there is more around us than our mothers. If you grow up in a large family, you learn quickly that you are only a planet orbiting your parents and maybe you struggled to get your share of their attention and love. Let us then think about ourselves in astronomical terms. Just as the planets orbit the sun we each are individuals with different sensitivities, goals, and hopes as we orbit in our own family constellations. To me, it seems that Job thought of God as the source of his universe but may have believed he was the only planet in it. Such an analogy probably can be applied to the story of James and John seeking a special place in the hierarchy of Jesus’ followers. Think of yourself as one of twelve followers of Jesus. You have an ego just as the others do but you have willingly set it aside to be near this great man—teacher and healer promising to change your world. There has already been a debate over who will get the choice places in the promised kingdom. Jesus settled that debate by teaching that we should not strive for power or position. An argument erupts, which Jesus tampers by reminding his disciples that the exercise of power works against God’s plan of love. As the story continues, Jesus tells his followers who he is and what his mission is. Most of those with him on the road leave and only a handful remain. Jesus is not what the majority want. They want a bully, a leader to head up a revolt to return pure religion to the land. Further, Jesus tells his closest followers what is about happen to him. Apparently, James and John were not listening closely–their minds were on their own place in the new kingdom. Sometimes people who take leadership roles are seen to be behaving as James and John did. Clergy are sometimes thought as being egocentric and narcissistic—otherwise why do they stand in front of an audience and perform every Sunday? However, accepting that in some cases that characterization is true, being a leader takes courage and answering a call to serve can humble a person beyond words. Several years ago I was asked to speak to a gathering of Episcopal clergy about our calling as bishop, priests, and deacons. Thinking about that invitation I set a goal to talk in terms of what a priest’s or deacon’s role in society meant to people in general. Before I began my talk, I looked out on the gathered clergy, nearly one hundred men and women, and said, “Most of you are thinking, ‘I can probably preach better than you.’” In my mind all almost all of the people in front of me were more qualified than I. However, just as soon as I uttered those words someone piped up, “No, we’re thinking, ‘Glad it’s you up there and not us.’” That generated a lot of laughter and helped me overcome my anxiety. This was going to be a good group to talk to. My point in the talk was that the call to ordained ministry is not only a sacramental blessing for those of us who have answered the call it is also burden reminding us on a daily basis we are not in charge of anything. God reminds Job that he is not in charge of anything either. In that reminder, God instructs Job that the universe is God’s and that Job and ultimately all of humanity has tentative possession of the planet and life itself. Jesus asks James and John, “Can you live the life I am leading? Can you die the death I will die?” They claim they can, but they will not and cannot. In those questions Jesus is asking the same questions asked of Job. The answer in both instances is that we cannot be God and we are not the center of the universe no more than the sun rotates around the world. This means to me that holding on to power or the things that seemingly give us power and prestige are so fleeting that we eventually destroy the beauty of the gift of life by focusing on them. Nevertheless, how difficult it is to give them up. It is so difficult that many would give their lives for power and prestige, for money, wealth, for possessions. Have you ever been to an estate sale and saw the possessions once proudly owned being sold away for a pittance of what they originally cost. Certainly, they provided pleasure while the owners lived but they ultimately become valueless. What then is of value? I think it is God’s Spirit breathed into humanity, the spirit that gives us personality and identity. That spirit lives on in our offspring and we are the continuation of the human spirits that came before us. Therefore, it is a fair question to ask, “Where were you when the foundations of the earth were laid?” If you were not present at that great celestial event, you do not own what you possess. All, everything, is God’s. We are allowed to use God’s gifts for our benefit. We do not truly own them—God wants only that we care for and about those gifts. In other words, living as God’s person requires us to think in terms of that old-fashioned word stewardship. Our task is to assure the world is passed on to our next generation in as good, if not better, condition than when we found it. If we do not care about the gifts of God in our time, there will be little for our progeny to enjoy as a gift of God in their time. Further, if we do not teach stewardship and live by the principle of loving care for all that is about us, our progeny will not teach their next generation to care. In the Old Testament Book of Lamentations we learn that God does not willingly cause us grief. Instead God calls us to be a part of the creative process, to care about our world, about those who suffer from neglect and oppression, and to love more than power and possessions. We are invited by God to step into a world of wholeness and singleness of heart in which we learn that Jesus has lived the life we cannot and suffered the death we do not need to experience. 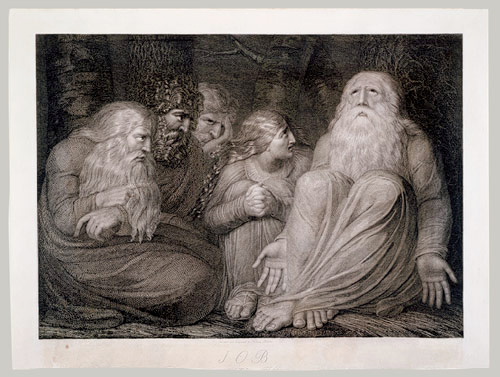 When Job sets aside his pain-fed ego and finally realizes God only seeks a completion of his plan of creation and the unquestioned dignity of all human beings, Job finds final fulfillment. When we set aside our egos and self-centeredness, we too find an unexpected joy even in the face of disappointment or terrible loss. In our callings as followers of Jesus Christ to reach beyond self we seek to bring peace, respect, and reconciliation to a broken world. Remember the holiness of your calling and then live humbly before God in love and charity with your neighbor.